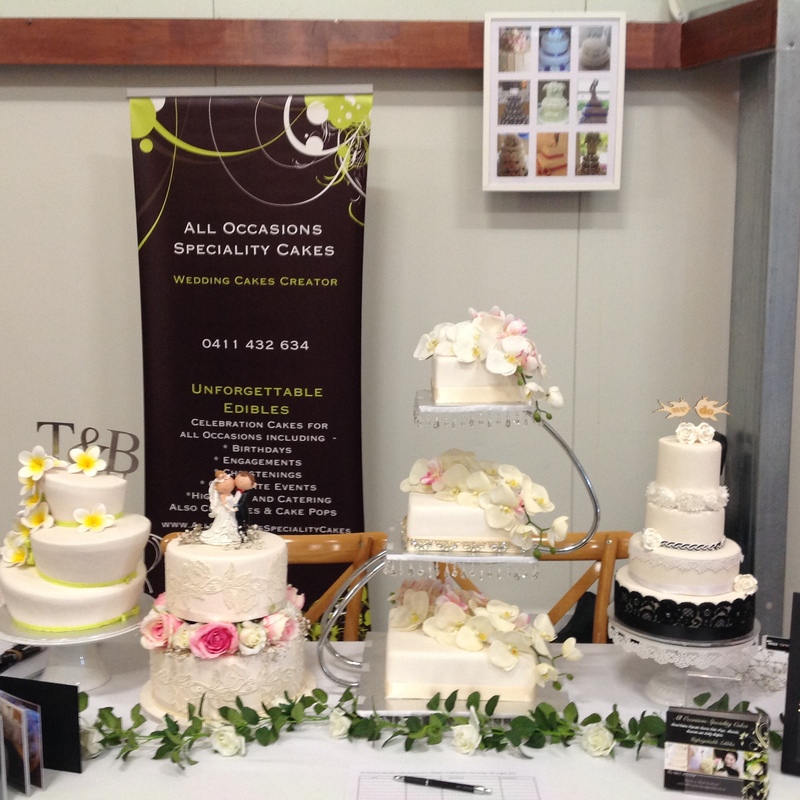 It was All Occasions Speciality Cakes absolute pleasure to attend O’Reilly’s Wedding Open Day at Canungra on Sunday 16th August, 2015 as their preferred Wedding Cake Creator. O’Reilly’s Vineyard, Canungra and O’Reilly’s Rainforest Retreat are two of the most outstanding Wedding Venues in the hinterland, Gold Coast. Such a great opportunity to inspect the venue and meet preferred wedding suppliers at the one time, while enjoying the complimentary wine and goodies bag. Did you know that Dee Handyside entertains every second Sunday for the lunchtime guests at O’Reilly’s Vineyard, Canungra? It’s a win win – beautiful food and wine and music in an exquisite setting.